Millions of people have set resolutions to get themselves into shape. The gyms will be flooded on Monday, and that will last at least until the end of the month, perhaps longer. Eventually and unfortunately, a lot of people will cave on their resolutions. I have not been that person, at least not for a great many years. New Year’s was just part of my off-season training regiment, which meant finding some sort of exercises to do indoors until the weather warmed up. If anything, January has been an annoyance because the gyms get crowded, and as sad as it is, I look forward to when people break their resolutions and give me more space. Injury has changed that part of me. I’m now gladly joining the hordes of people with a New Year’s resolution to get back into shape. That starts with a 30-day Plank Challenge. That is not the only thing I’ll be doing, as I plan on a lot of cardio, but planks are going to be my primary motivator. Since I’m out of the habit of training, it is not as easy for me to motivate myself as it once was. This time I was invited to a Fitness Challenge group via Google Plus. This gives me motivation in spades. We have 38 other people in the group, and most of them are also participating. They post their progress daily. I’ve set my iPhone to give me Google+ notifications, so throughout the day I’ve been getting notified of people’s progress. Thus far it has all been positive. Everyone encourages everyone, and I’ve jumped in and done the same. We’re all in this together even if our goals and fitness are not the same. Everyone’s situation is different. Some people are dealing with injuries like me. Naturally they are limited and looking for any sort of progress. Others are in peak shape and just looking for further toning. One person posted a picture of their abs to ask the group if we saw much definition (not in the “Meathead Rob Lowe” sense). Let’s just say that the definition of my abs would be found in the dictionary – maybe rotund, plump, overweight, or whatever. That will change this year. The plan is to do a plank every day and stay up as long as possible. We track everyone’s progress on a shared spreadsheet that gives lots of useful stats, like the percentage of improvement, the average plank time, and so on. The goal is to improve every day and work up to a time goal. At first my goal was 180 seconds, but I decided to raise it to 300. I may not get there, and that’s fine, but I don’t want to restrict myself to a lower goal and get comfortable. These are the areas that get worked out while planking. It is an efficient exercise. We have the month divided into four stages. For the first week we start with a regular/static plank, which is simply placing forearms on the floor, elevating the body onto the toes while keeping the back straight. Keeping form is important. When I did one of mine, I asked my wife to look to make sure my back was straight. If I feel myself losing form, then it is time for me to stop. In the second week we’ll be doing a High Plank. This is where we start doing a regular plank, and then we move to a push-up position and alternate every 5-10 seconds. Needless to say, this will be more difficult and plank times will drop. The intensity continues upward in weeks three and four. Stage three is a Single-Leg Plank, where we start at a regular plank and then raise one foot off the ground six inches and hold it straight, and then alternate every 5-10 seconds. Stage four are Plank Jacks, where we start from push-up position, and then jump our feet out into a jumping jack move and then back home, repeating every 5-10 seconds. The last two weeks might be more of a challenge because of my injury. It is possible I’ll have to modify, or maybe I’ll be able to do them normally and my hip will cooperate. It is unpredictable. After these four weeks, we have two days doing the regular plank again, just to see the results of our month-long efforts. Hopefully this is when everyone, including myself, will reach or maybe surpass their goals. So far, so good for me. 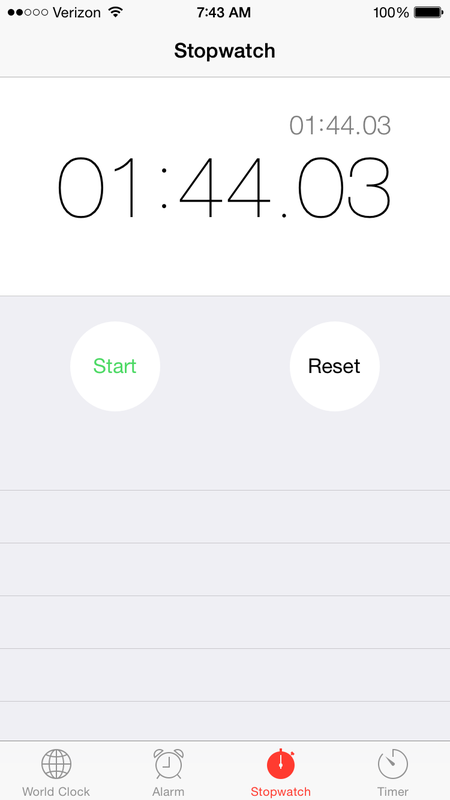 On New Year’s Day, my plank time was 63 seconds. I wasn’t impressed, but improvement came fast. In four days, I have improved to 104 seconds, which is one-third of my goal. The challenge will be done by the end of the month, but most likely I’ll keep planks into my repertoire. The core is an often neglected area in cycling training, yet it is also necessary for stability, bike control, and to maintain good form and reduce the chance of injury. 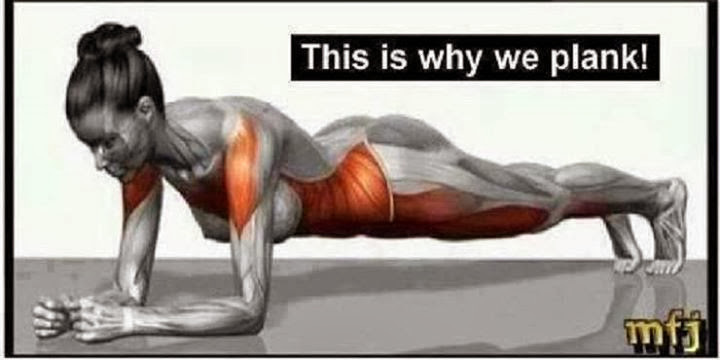 I may decide to vary my planks to keep working the core. There are plenty of other variations to try. This entry was posted on Sunday, January 4th, 2015 at 12:33 pm	and posted in Training. You can follow any responses to this entry through the RSS 2.0 feed. Is there a link to the plan you’re following in this challenge? I’d like to follow a similar plan but I haven’t been able to find one like what you’re describing. Brian, it is a private group on Google Plus. Send your email through the contact form if you want an invite. Hi Aaron – Thanks. It should be there already on the original post, but it’s on this one too. I don’t necessarily want to join your private challenge, just interested in the details of the plan (i.e. how you describe you go to different versions of the planks at a certain point). Right, I forgot that WordPress gives it to me. 🙂 I’ll shoot you an email.